Nordicmuse > Business > Retail Re-imagined. Andrea George, Head of Retail and Leisure at Bruntwood talks about the six trends shaping the way we experience retail. Taking a residency at Hatch, is a core pillar for our business at Nordic Muse, and as a consumer focussed business, our customers are in the driving seat. Hatch delivers a truly customised experience, creating a market differentiator that will be hard to beat. Like every industry, the retail industry is facing some huge challenges as it adapts to changing demographics, shifts in consumer behaviour, and fast-moving online players. Andrea details the six trends shaping the way we experience retail, and how Bruntwood have evolved and adapted with the market to stay ahead of these trends. 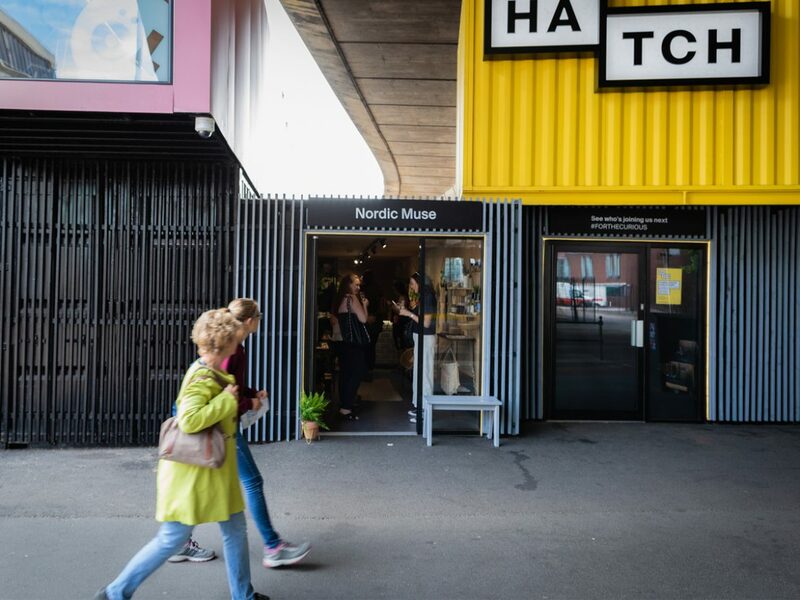 We feature in trend one ‘Taking it Offline’, with Nordic Muse successfully launching our first physical store at Hatch. Retail is being re-imagined and Bruntwood are at the forefront of innovation as they create the retail space of the future. Every point raised by Andrea matters to Nordic Muse, and this particular project is close to our heart. This is a community centred experience, offering mixed-use development with a focus on independent retail. Working with Bruntwood has not only eliminated risk related factors associated with small business tenancy, but as a family run business, Bruntwood is passionate about people and communities. Hatch offers a collaborative environment, with Manchester’s finest independent retailers joining forces to deliver a unique shopping experience. To put it simply, this is a dream collaboration for us.